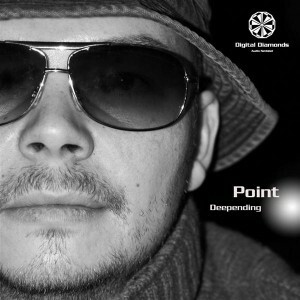 Digital Diamonds has unearthed another modern classic of psychedelic techno music with Deepending, the debut album from Point (Martin Marian), a producer from northern Germany. Here we are treated to a perfect balance of emotional, driving, and evocative techno music. Deep is the watch word for this release: expect heavy atmospheres and sublime, moody climaxes that sneak up without warning. MP3 Download | FLAC Download | WAV Download · Download count: 11,643. Minimal, Progressive and Atmospheric Techno. niiiiicee! sometimes techno/techtrance is a bit too simple for me, but this one is not and still minimalistic! great! Very nice sound ;] im always looking forward for a prog/ techtrance/ techno release. Downloading. As described, really deep and minimal vibes! Great Tunes!!! Quite minimal but deep and heavenly atmospheres …..9/10 !!! this album is perfect and i enjoy it.you work such as paul kalkbrenner , your hometown.good luck man and please continue. Keep the great vibes coming, Martin. Ein sehr FETTEN DANK an den Künstler ! Das Album ist bei mir seit langer Zeit der Hammer :-) Speziell Track 8 (Standing) eigentlich jeder Track ist echt fett ! Das nenne ich doch wirklich mal eine top Zusammenstellung von allem was diesen Bereich an Sounds betrifft. Ich bin so begeistert, vielen Dank ! Bitte viel mehr davon :-) Da ist echt ein wahrer KÖNNER am Werk. i love this music…..over flow….i love fusion ..